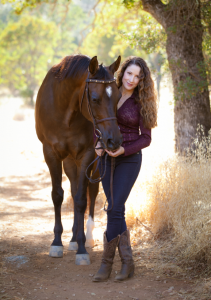 Everyone knows at least one amazing horse and has a story to share about how that special horse touched their life. Now is your chance to tell your story! Each year Diablo AHA pays tribute these special horses, honoring them with the title of “Family Arabians of the Year”. 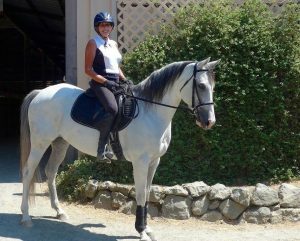 All Arabian horses are eligible – fillies, colts, retired horses, lesson horses, your own horse or that of a friend, even horses who have crossed the rainbow bridge and who are no longer with us. This is your opportunity to put a horse that you know and love in the spotlight. Entries will be featured at the Annual Diablo AHA Awards Banquet, on the Diablo AHA website, Diablo AHA Social Media, and/or in the Diablo AHA Newsletter. Perhaps it will be your story featured in the next Diablo AHA Club Newsletter. All you need to do is send your story, along with a high-resolution photo, and/or video of this sweet, intelligent amazingly beautiful creature to Diablo AHA Club Secretary Debbie Compilli at contactDAHA@gmail.com. Please, direct any questions you may have to Debbie Compilli, as well. All “Family Arabian” entries must be received by December 15th. Click HERE for the Family Arabian of the Year application. My name is Sand Lilly, I was born in Mississippi where I grew up and where I ran my first races. I assumed that they were pleased with my performance since I had good finishes and even a win. However, next thing I knew I was loaded into a van and shipped to a new home. I guess that is the destiny of a race horse. A few days later tired and confused in mid-March of 2016. I stepped out of the van and into my new life in California! And what a cultural shock that was even for a young filly like me! There, at the Pleasanton Race Track I was greeted by my future trainer Terri and her assistants. Because of my previous experience, I must confess that I was a bit apprehensive about this move and what was expected of me. The day after my arrival I was meticulously groomed, saddled up and ridden to a pavilion with Terri on board. As I heard them talking, people were coming over to evaluate my potential Oh, no! here we go again, they are going to send me away again when I barely just got here, the thought crossed my mind. Terri intended to show the best part of me, but I was so darned frightened that I spooked at everything that moved or not, such as the garbage cans that looked like big green monsters. I probably did not make a good impression on my two visitors. All was happening too fast and I wasn’t trying to figure out where I fit in this new environment with new stable mates, some of them were my half-brothers. Our sire Burning Sands was supposed to be something very special, so I guessed we were too. For the most part, life at the track and scheduled workouts were not much different than in my previous home. One thing that I did not miss was the humidity. I began to enjoy the California sun and the frequent visits of a person who would come to the stables before and after my races and would tenderly caress my neck. I was not in immediate sensation at the track but after a few weeks of me getting used to my new surroundings and new people I began to win earnings and people’s hearts. By now, I was an important part of this traveling circuit, it was like a gypsy’s life. Rumor had it that in California, we Arabians, were not permitted to race at tracks reserved for the Thoroughbreds. I guess they did not know about their foundation. So, I followed the Fairs and so did my faithful admirer who seldom missed any of my races. By the end of October of 2016, the Fairs were coming to an end. I had successfully performed in my conditions even winning a Stake race. Of course, this was also the time when my stable mates and I would have to say good bye. At night, we would nicker at each other wondering where our destinies would take us. We knew well that the choice did not belong to us. Horses can hope and during my sleepless nights, I did so. After my last race in Fresno as I was been walked back to the barn, Terri said to me “Lilly meet your new owner Norma” my ears perked up and as I turned my head and I saw my faithful admirer. How suddenly, my life changed, how quickly my worries turned into joy! That night I shared the good news with my friends and wished them the same fate. From our home base at Pleasanton Race track I was taken to uncle Cory’s Blackhawk Spa where I spent a few weeks relaxing and kicking my heels. Then, it was time to go to my new home and meet the rest of my new horsey family, Ole and Zinny. My new accommodations were spacious and comfortable. A big stall and large paddock. I could not have asked for anything better. I always liked a clean bed where I can lay down without staining my white coat. I was an instant sensation! A four-year-old retired Arabian Race horse!! I knew then that I had a big place in Norma’s heart and I was determined to travel with her the road that she had dreamed of. By watching the horses around me I knew that I had to learn a lot. After all, my life had consisted of quick starts and finishes at full speed and in only one direction. So, I started my new career and with the coaching of Leigha I learned of my other potentials. Considerably soon I was performing to everybody’s expectations including mine. I was even challenged to do a trail course over poles which I learned quickly to complete. Our next goal was clear, the show arena! So, finally last September that dream came successfully true! 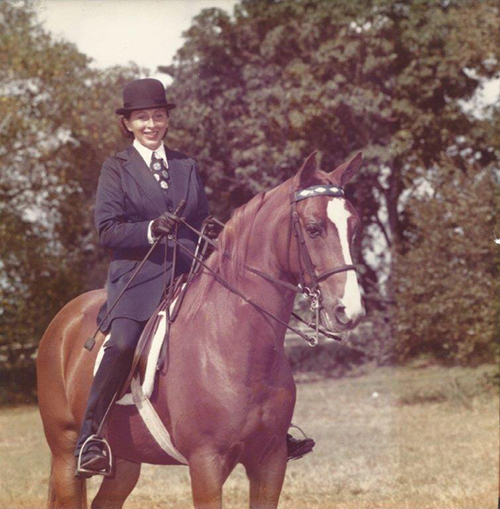 Proudly, I must say that I did quite well and was able to fulfill my mom’s dream of going back to the show ring after forty-five years. Humbly, I must say that I am a pretty lucky horse. From starting gates into Norma’s life. These are the words, declared by my instructor, which after forty-six years still resound in my memory and which were going to be the beginning of the most rewarding relationships of my life and fulfillment of my childhood dream. I grew up in a country that took pride in its horses and their performance. So, falling in love with their beauty, eligibility and majestic statue was not unusual for a child, certainly not for me. But reality had it that those exciting equestrian performances that I watched in awe were only reserved for the privileged of the high society. Really? A few years later I made my way to my new country and to an open door of possibilities. Once settled in Miami the most logical thing to do was to search for an equestrian facility where I could finally learn the etiquette of horsemanship and of course to find that nameless companion who I knew was waiting for me. Coincidentally or intentionally. the place I found was a large stable with Arabian show horses. After a few lessons I started my quest for my champion. At the second place of my search I spotted this beautiful chestnut half Arabian who from the other end of his stall looked at me with certain air of pride and was not interested the least to approach me not even out of curiosity. Right there and then, Shane of York three years old at the time and barely trained, became my inseparable companion for the rest of his life. Despite my trainer’s concerned advice, two days later we trailered Shane to his new home and into that long awaiting place in my heart. No, we never made it to the Olympic Games, as at one time I had imagined, but our journey of thirty-one years took us to another dimension which only Shane could have afforded me. A few months later I began to show Shane in Saddle Seat in amateur owners to ride classes where we won many blue ribbons and white and pinks and yes, some greens. At some point later, Shane let me know that he would much prefer to go western. No more of my seating on his kidneys and double bit in his mouth. So now I had to switch from my blue English habit which had taken many hours to make to my costumed made blue suede chaps and a Tom McNair show western saddle. His sliding stops under a cloud of dust were incredible and that brought him more championships and silver plates to his collection. For reasons that I can’t recall but perhaps because I thought it looked elegant, I moved on to Western Side Saddle, my best event. 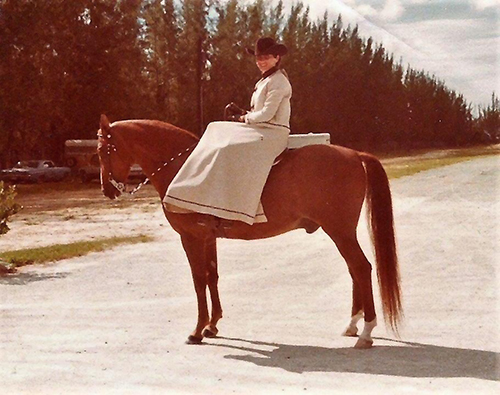 Once again, I borrowed a pattern for my apron (skirt), bolero and a beautiful custom-made hat that my mother had made for me in Argentina and once again Shane and I entered the ring and accomplished enough points to be for a while at the top of the Side Saddle Organization. New life changes brought us to the bay Area and to his own place in Alamo. Living at the foot of Mount Diablo, Shane now began to enjoy the beautiful trails, ponying my new acquired Egyptian mare Zianna and sharing long rides with my husband’s mare Phoebe. He really enjoyed his new family life and his role of guardian of his mares. Camping in Point Reyes, Yosemite with the San Ramon Horsemen Club was more enjoyable for Shane than running around the show ring with blasting music in his ears. It was just another incredible experience in the many stages of our life together. Endurance rides were also part of his repertoire. There was no stopping him from running up those hills, how much fun that was! Unexpected circumstances in my husband’s job at that time dictated that Dallas would be our next destination. So with our menagerie packed in the motor home and Shane and Zianna in the trailer, Phoebe in a commercial van, we started our cross-country journey on New Year’s Eve. After breakdowns, flat tires and encountering terrible weather we arrived in Dallas six days later. Not sure how many times we loaded and unloaded the two horses, but Shane as always remained calm accepting whatever came his way and looking over Zianna. Their new home was charming, with stalls with flowers on a five acres ranch. With no trails around we were invited to camp and ride in privately owned properties. With not even time to unpack some of our boxes, corporate life called again for a major move to Washington State. Yes, there is a reason why it is called the Emerald State, Rain! And Shane kept accumulating ground miles and more geographic and cultural experiences. Our stables sat on 30 acres overlooking Mount Rainier to one side and the Olympic Mountains to the other in the outskirts of Seattle. This might not have impressed Shane, but the green grass of the divided pastures did. With 25 five stalls and only three horses, I thought the logical thing to do was to breed Zianna. What would be more beautiful than seeing this sculptured Egyptian mare running free with a baby on her side?! Shane continued to enjoy her company frolicking in the rain or sun during their morning outings. Perhaps, felt to some extend that the one to be born was his foal. As crazy as it might sound. I know that he felt just so because when the colt was born and Zianna violently refused him, Shane’s love for her turned into disappointment and anger and remained so for the rest of his life, never approaching her again. After a week of sleeping with the foal, we were lucky to find a big kind Appaloosa mare who took over the place of Ole’s mother. Shane looked over this odd pair and respectfully at a distance waited for the day when he would take over the role raising Ole. As nature dictates when the moment came, Shane waited for the mare to walk away and he stepped in a loving gesture that only Shane was able to have. The two of them became inseparable, with Shane watching for Ole in the early years and Ole caring for Shane in later times. Shane continued to enjoy life here. We trail rode thru the Muckleshoot tribal lands and even the Pacific Crest Trail. During the last three years of our ten years in the Pacific Northwest Shane began to show signs of two rotating coffin bones. It was disheartening to accept that Laminates would rob my Shane of his zest for life. Our trail rides became shorter thru the trails of our property and my life became totally devoted to him, I knew that I was neglecting other duties, but I would never leave his side and neither did Ole. A drastic change in my private life, had me returning to the Bay Area where I had all my dear friends and support. Cory had remained my friend and veterinarian from the early beginnings. He would guide Shane along the inevitable path. This time, I had no choice but to find a boarding facility close to my new home in Walnut Creek. In this occasion Bob Hubbard was to bring the most precious cargo of Shane and Ole together. Realizing of the weak condition of Shane the company transported Shane in a double stall in the van, where he could lay down and alleviate the pain in his feet. Again, we were together and doing some short rides in the arena. Often, I would get a morning call for me to come to the stables to help Shane get up. A year later, one morning on December 23, 2013, while kneeling by his side I knew what his eyes were telling me. Although Ole was quiet I knew his heart was crying, and I was recalling every moment of my incredible beautiful life of thirty-one years with Shane. Shane and I were bonded in amazing ways as he saved my life more than once. Such is our secret. When my daughter asked for a horse in 2014, my response was “you will never, never ever, never, have a horse.” My reasoning was based upon the ability to pay for appropriate care should a horse become ill. I am a big animal lover and I never wanted to be put in that situation. Well, my daughter is not one to be trifled with. So she came at her Dad and I will the full court press. I heard about how she needed her own horse to show, and she couldn’t progress without one. I reached out to Leigha Perry. Tea’ wanted to train with her. I told her my position on purchasing a horse, and she said we could sponsor one, lease it, like a car or apartment. This sounded perfect. We get all riding benefits but if something happens regarding health, it’s the owner’s responsibility. We could sign up for that, minimal risk. Well except I hadn’t considered falling in love. Perhaps with the last name Cavalli, it was destiny that we ended up with Clyde. We took a Saturday road trip, my husband Steve and I, Tea’, and Leigha to see two horses. We drove to Wilton, out to Hickerson Arabians. It was a lovely fall day, the memory is crystal clear. Todd brings out Clyde, a big, beautiful bay, gelding. Clyde’s owner was at UCLA, and her parents lived in the East Bay. Tea’ got on, Todd gave her instruction on how to ride him, and off she went. I was sold immediately, he was the one. But we had one more horse to see. We got in the car and drove to Santa Rosa, to Jesse Saldana’s to look at a horse he had available for sponsor. This one was a little rusty on ground manners, apparently owned by someone who collects horses a bit and her husband needed her to reduce her spending. Watching Tea’, the difference was like driving a stick and an automatic. My daughter has a huge heart. She was drawn to the horse at Jesse’s because it had no one; Clyde had someone to love him. After reaching out to Dean Lacey for guidance, Tea’ selected Clyde. Next thing we know, our family increased by one 1000 lb member. My husband quickly got schooled in all things regarding stall/barn upkeep. Tea’ joined Diablo View Farms and was riding with a bunch of girls she’d known from Castlerock Arabians. So the adventure began. Clyde quickly had us drawn in by his charm. Soon he was a barn favorite. He had a love of other horses, Finn his BFF and Flaire his girl crush. He liked to play with his traffic cone. He would scratch his bottom on his stall, that would rattle, spook him, and then he’d spook everyone else. He loves Sourpatch kids and Starbucks Chai Tea Lattes. He would lick Steve’s back when he cleaned out his water, very funny to watch them both. Clyde would stand in the rain, all day in his paddock. He loved the rain. We had to get him a waterproof blanket. He loved to ride in the trailer, like a dog, hops right in. And he would point with his nose where he wanted you to scratch. It was an adventure getting to know him. In Spring 2015 Tea’ started showing him. Her Dad became the best of the Barn Dad’s putting up drapes, fixing tack, doing whatever to help. Tea’s experience was not normal. Her fourth show on Clyde was Youth Nationals! The amazing thing for me was, for me, as a mom, I never worried when she was on him. He never bucked or reared, not once. He kept her safe. 2016 was a year where our family went to Scottsdale, AHANC, DAHA, Region 2, and Youth. I had been laid off with severance, so I decided to seize the day and enjoy the summer with my daughter. At Region 2, I heard awful news that one of my friends from college lost her teenage son. This hit home for me, the fragility of life. And at the last minute, I decided to take Tea’ and Clyde to Canadian Nationals, a mother daughter trip. We had a phenomenal time in Canada. Clyde won Reserve Champion in Showmanship. But I knew our lease was about up in November. This was our last big show with Clyde. At Tea’s last event, I started crying in the warm up arena, only to be banished. Things are bad when Gaba is trying to help you get it together. My poor daughter was almost in tears her last ride on him. Her tongue was in her cheek the entire time in an effort to prevent sobbing. We were a mess. It was bittersweet. Back in the states we began to strategize on how we could get someone else to sponsor him, to keep him at the barn. I was desperate. We were getting closer and closer to November, end of the lease. One day I said to Tea’,” I wonder if Ed would sell him?” This was doubtful. Ed Oto, the father of Tori who owned Clyde, loved that horse like I did. I decided to reach out to him to see what would happen. Nothing prepared me for the outcome. Oddly enough after both of us sharing our concern about where Clyde retires, Ed gave Clyde to us. I was overwhelmed. Tori wanted Tea’ to have him. We all cried. He has been such a blessing to our family. 2017 was a tough year but he made it so much better. In March he moved to a barn 9 minutes from our house, we see him almost daily. Tea’ taught me how to groom. Steve blankets the horses without fear. We both take Clyde running in the arena, doing a little showmanship. My friends, who have never experienced a horse before, have learned to ride on Clyde or overcome fear of horses. On a bad day, Clyde knows and is especially sweet and loving. He has helped my daughter through the difficulty of being a teen in this day and age. This animal has enriched our lives beyond words. I am so grateful he came into our lives. Clyde will be 20 in May. I get choked up thinking of a world without Clyde. Right now I am focusing on my dream of the day when Clyde can be in our backyard and stick his head in the kitchen window. 2017 was another amazing year for Beaulero’s Dream++ and me! 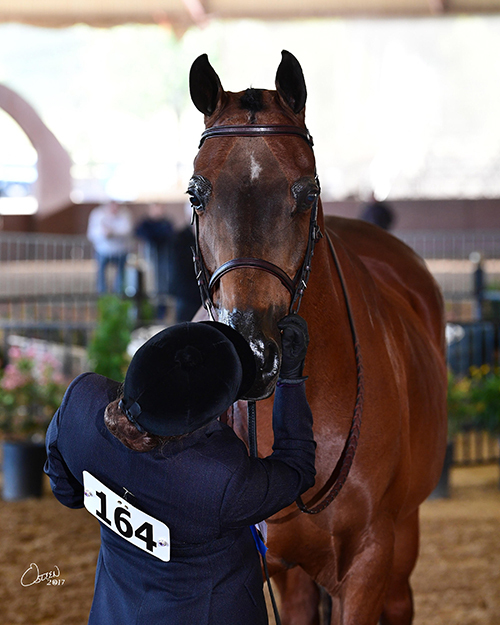 This big, quirky half Arabian, half Quarter horse gave it his all during last year’s show season with AHA and Diablo Arabian Horse Associations. “Beau” is a seasoned hunter type show horse and very much enjoys the entire process during training, preparing, practicing, clipping, pampering, trailering, stabling at unfamiliar show facilities and being a trooper in all of our many Sport Horse class endeavors. This last year was very active as we competed in Sport Horse In-Hand and Under Saddle at Santa Rosa, Pacific Slopes Championships, Spring DAHA, Region III Murieta, Fall DAHA and four additional local, All-breed shows. I can always count on Beau to consistently compete as a gentleman earning many local and Regional championship wins. We definitely have a shared competitive bond at home and in the show ring! AHA surprised me with an announcement letter this last Summer stating that Beau had earned enough Half Arabian achievement points to add Legion of Honor and now Legion of Merit recognition! With these achievements, Beau earned a “++” after his legal name and this is so exciting with added motivation to keep going strong! 2017 was a busy season and looking forward to earning our Legion Of Supreme Merit “+++” soon! The highlight of 2017 for Beaulero’s Dream++ will be that this horse is up for DAHA Sport Horse High Point Champion! If he achieves this honor, Beau will have earned DAHA Sport Horse Champion for years 2010, 2016 and 2017! We look forward to another fantastic year ahead and to continue being involved in the wonderful AHA and DAHA communities. Thank you for the opportunity to participate in your programs and to realize this childhood dream of competing at horse shows!